Montgomery County Community College boasts a variety of distinguished educators and scholars who are experts in their respective disciplines. The College’s Media Expert Guide identifies faculty and staff who willing (and eager) to offer their expert knowledge to members of the news media. Reporters and editors wishing to connect with one of the College’s experts should contact Director of Communications Alana J. Mauger at 215-641-6359 or amauger@mc3.edu. If you don’t see the topic you’re looking for, contact us anyway, as this is just a taste of the many diverse subjects on which the College’s faculty can speak. BIO: Dr. Steve Baron is a native of Montgomery County as well as an alumnus of Montgomery County Community College. He has taught at the College since 1992, and he also holds faculty positions at the Philadelphia College of Osteopathic Medicine and the University of Southern California. Dr. Baron’s recent research has focused on traumatic brain injury, sport psychology and values in sport. In 2012, his first book was published—Clinical Sports Psychiatry, Baron, Reardon and Baron. He has also had the honor to present at back-to-back American Psychiatric Association National Conventions. BIO: Professor of Economics Dr. Lee Bender has been engaging Montgomery County Community College students and faculty for 46 years. Hired in 1968, he played a critical role in shaping the College’s early years in Conshohocken, and its subsequent growth in Blue Bell and Pottstown. In 1989, Dr. Bender was appointed as the Dean of the College’s Division of Business and Computer Science, a position he held until 2007, when he went back to teaching as a full-time Professor of Economics. Throughout his tenure, he is credited as being the College’s first-ever Earth Day speaker in 1970; developing the initial proposal for the Center for Teaching and Learning, which has since become the Center for Faculty Development; introducing more than 100 new courses into the College’s Business and Computer Science curriculum; and teaching the first fully-online Economics course. BIO: William Brownlowe is an Associate Professor of Engineering and Department Head for Engineering Science and Technology at Montgomery County Community College. He is a third degree black belt in kodokan judo and instructs at two separate schools in Eagleville and Upper Darby. He is also an avid motorcyclist and plays guitar and sings. BIO: During nearly forty years of working in the communication industry and teaching communication, Goldstein has produced and directed television, radio and theatrical dramas, documentaries, training films, and entertainment specials. He has published a book on producing factual stories, and he serves as a consultant and producer for clients that include hospitals, colleges and universities, and professional organizations. BIO: Dr. Lianne Hartman has been working in academic libraries for over a decade. Her graduate course work includes a focus on human-computer interaction. She has a continued interest in designing systems and services with an emphasis on usability. 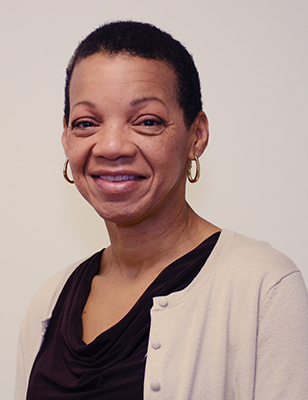 BIO: Georgette Howell is an Associate Professor at Montgomery County Community College and a Registered Dietitian with 16 years in the field of nutrition and health sciences. She has held positions in college, university, clinical and corporate settings. In addition to her teaching and administrative duties, Georgette provides consulting services as a content specialist for several major publishing companies. Upon earning a certificate as a professional health coach, she created Howell Health Coach with the goal of guiding individuals in the process of making lifestyle changes such as weight loss, improved nutrition, and stress management. Georgette enjoys sharing her extensive knowledge of nutrition and personal health and wellness to her students and the community. BIO: Prior to working at the Montgomery County Community College, Dr. Anne Livezey was a Collegiate Field Hockey and Lacrosse Coach for over 10 years. She taught at Temple University while earning a Doctorate in Kinesiology. For her dissertation, she researched the gender differences in a collegiate weight training class. She conducted research on the creation of single gendered weight training classes, sexual harassment in sports, and the relationship between faculty and students based on gender. At MCCC, Dr. Livezey works with her students to organize and host service learning community events, with the Children’s Center students to offer physical activity opportunities to children, and with LGBT students to promote and ensure a safe environment. BIO: Barbara Lontz has taught mathematics for over 38 years, with a focus on developmental math for students with learning disabilities. She developed and published Concepts of Numbers for Arithmetic & Prealgebra (Pearson Learning Solutions), a conceptual approach towards teaching mathematics, which was selected as a Hewlett Scaling Project grant through the Community College Research Center (CCRC.). BIO: Before teaching at Montgomery County Community College, Dr. Kendall Martin was a member of the research staff for ATT Bell Laboratories. She was also a researcher with several area start-up projects, including DNA sequencing and using NMR technology to locate oil deposits. BIO: With more than 15 years of industry experience, Certified Executive Chef (CEC) Francine Marz claims to “do a little bit of everything” in culinary and pastry arts, which has enabled her to combine her two passions – food and travel – into a successful and diverse career. She has an impressive resume of professional accolades, including a medal from the Food & Hotel China (FHC) culinary competition in Shanghai, China. She served as a board member of the American Culinary Federation (ACF) in Phoenix, AZ, and has held multiple sous chef, banquet chef and executive chef positions with Marriott and Renaissance Hotels, among other elite establishments. She has also taught many cooking classes at Le Creuset and Williams Sonoma, and has been featured on several radio and television segments in various parts of the country. BIO: Dr. McAtee’s doctoral degree focused on organic synthesis and methodology with applications for development of cancer and AIDS therapeutic agents. Prior to her teaching career at the College, she worked in the pharmaceutical industry as a medicinal chemist, synthesizing novel compounds with applications in neuroscience and physiological systems. She has coauthored several publications in these areas. Having now taught general and organic chemistry classes for over a decade at MCCC, Dr. McAtee has been pursuing her passion for chemical education and utilizing innovative technologies in the classroom. BIO: Benn Prybutok joined the administration and faculty of Montgomery County Community College in June 2002, as the College’s Director of Criminal Justice, Fire Science, & Emergency Management. His re-entry into academia followed a 28-year career in the property and casualty insurance industry during which his focus was in public policy, government affairs, and strategic planning. His corporate career encompassed service with the Munich-based Allianz Insurance Group, Gulf Oil Corporation, Pacific Compensation Capital Corporation, and Home State Holdings. 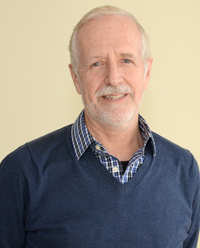 In addition to MCCC, Prybutok also teaches courses on Terrorism and Homeland Security through Excelsior College based in Albany, New York, and at the graduate level at Drexel University in Philadelphia where he is Adjunct Associate Professor of Homeland Security at Drexel’s Goodwin College of Professional Studies. He has also traveled, studied, and lectured abroad on terrorism and organized crime. His foreign travels have included most of Europe, including Eastern Europe prior to the collapse of the Eastern Bloc. He has also traveled extensively throughout Asia — including India, China, and Tibet. BIO: Dr. Saatci has taught Social Sciences at Montgomery County Community College since 2007, and has previously taught Grand Valley State University and the University of Maine. He is published in a variety of mediums, including a chapter in an economics textbook, journal articles and book chapters on immigration, Islam, politics in Turkey, and globalization in the world economy. He has also served on the editorial boards for two scholarly journals. In addition to professional activities, Dr. Saatci serves as a consultant in his areas of specialization for corporations and civic organizations. EDUCATION B.A. in economics and M.A. in economics, Hunter College; Ph.D. in sociology, Binghamton University. PROFESSIONAL AFFILIATIONS American Sociological Association; Michigan Sociological Association. 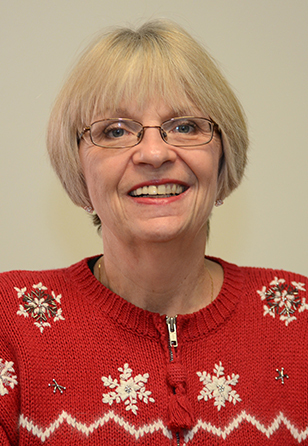 BIO: Kathleen Schreiner has 30+ years of health care experience in varied health care sectors. As the Director of Medical Office Professions, she is responsible for the Medical Assisting Certificate Program, the Medical Office Assistant Certificate of Completion and the Medical Billing Certificate of Completion, and various other health care offerings. BIO: Marc Schuster is the author of The Grievers, The Singular Exploits of Wonder Mom and Party Girl, Don DeLillo, Jean Baudrillard, and the Consumer Conundrum, and, with Tom Powers, The Greatest Show in the Galaxy: The Discerning Fan’s Guide to Doctor Who. Marc is a frequent contributor to The First Day and a contributing Editor for Shelf Unbound. BIO: Ayisha Sereni began following her entrepreneurial passion by becoming a real estate broker and beginning her own real estate company post-graduation. She has been a respected and successful residential real estate broker in the suburbs outside of Philadelphia for nearly 17 years. Additionally, she has been educating prospective real estate agents on the fundamentals of business at MCCC since 2008. BIO: Kelli Spangler’s undergraduate degree focused on observational techniques and technologies, giving her a wealth of hands-on experience that has been very useful for managing the College’s Observatory. Her graduate degree focused on cosmology, which is the origin and evolution of the universe, giving her an insight into the universe not necessarily found with other programs. Having now taught both physics and astronomy for a little over a decade, Spangler has come to understand all of the various elements of astrophysics in a deeper and more accessible way, which she believes helps her students to understand topics that are naturally complex and challenging. BIO: Theresa Sullivan began her career as a business consultant, working in a variety of industries and corporate office environments. Her responsibilities were reporting, process mapping and training. She transitioned into education and has been teaching for nearly 10 years. As a coordinator at MCCC, Theresa is responsible for the Office Administration and Health Services Management programs as well as the Certificate of Completion in Virtual Assistance. BIO: Meryl Sultanik taught various grade levels as an elementary classroom teacher. She also served as Director of Educational Technology with the Colonial School District, and she has taught at Cabrini College and Gwynedd Mercy University. TOPICS: Nursing, Nursing Education, Roles in Nursing, Planning your education with a goal towards Nursing. BIO: Dr. Toth has 30+ years in nursing in the areas of clinical nursing, management and education. She has served as the Director. of the nursing program at the College for almost six years. She additionally works as a Certified Family Nurse Practitioner and teaches as a clinical preceptor for Drexel University’s Family Nurse Practitioner Program. Dr. Toth has held positions as nursing administrator in several hospitals as well, as faculty positions in several nursing programs. PROFESSIONAL AFFILIATIONS: Member/Former Chair, Pennsylvania, Council of Associate Degree Nursing Programs (PCADN); Member of Southeastern Pennsylvania Deans and Directors Association (SEPDDA); Member of the National Organization of Associate Degree Nurse (N-OADN). Additionally, Dr. Toth is a member of several Advisory Boards. BIO: Raised in multiple small towns, Indian Reservations, and cities in Kansas, Professor Wallace became well practiced in interpreting new places and in rural economic development. He is a nationally recognized as an outstanding educator by the Boy Scouts of America, the United Church of Christ, and the Educational Testing Service (Advanced Placement exams.) He has taught at the University of Kansas, Eden Seminary, Penn State, Widener, University of Delaware, West Chester University, the Community College of Philadelphia, and the Philadelphia Police Academy. EDUCATION B.A. in Religious Studies and Geography, University of Kansas; M.Div., Eden Theological Institute; M.A. in Geography, University of Kansas; Certificate in GIS, Penn State University; Certificate in Higher Education, Temple University.